PLX In The News | PLX Inc.
PLX Retroreflector used for robotic exploration of Mars atmosphere. 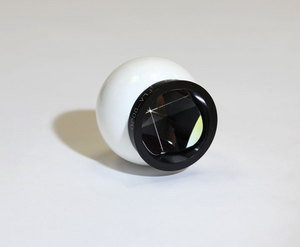 PLX Ball Mounted Hollow Retroreflectors (BMRs) are now available in a new unique Break-Resistant configuration. PLX introduces the new, improved Invar mounted USHM, the ultimate in shock and vibration resistance. PLX named a “STAR SUPPLIER” by Lockheed. 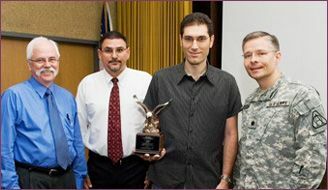 PLX Awarded Eagle Award for Excellence. 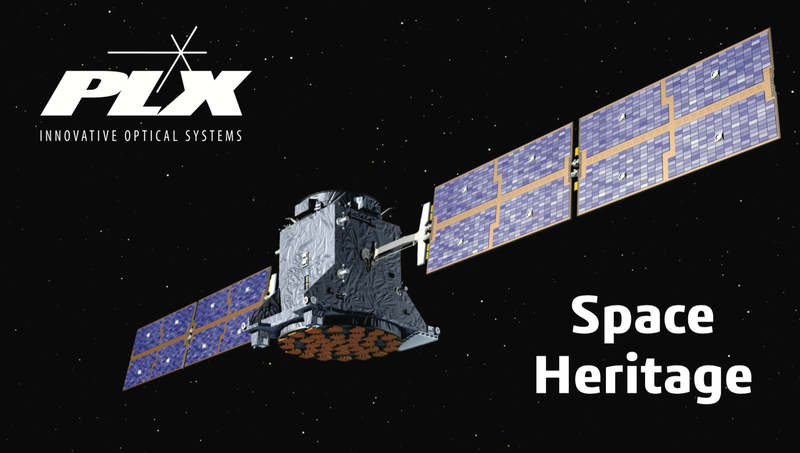 PLX's space heritage dates back to 1975 when the company provided hollow retroreflectors to the Apollo-Soyuz Russian-American space hookup program. The units were used in the docking procedure to align the two vehicles as well as measure gases in the vehicle environment. The TIRVIM (Thermal Infra-Red V-Shape Interferometer Mounting) Spectrometer is part of the Atmospheric Chemistry Suite (ACS), which is now successfully operating in orbit around Mars. Its scientific goal is to monitor temperature profiles and measure aerosol content during nadir observations. TIRVIM is one of three spectrometers on the ACS of the ExoMars 2016 Trace Gas Orbiter launched in March 2016. PLX retroreflectors in TIRVIM spectrometer currently flying aboard the ExoMars 2016 Trace Gas Orbiter. This suite of three infrared instruments will help scientists to investigate the chemistry and structure of the Martian atmosphere. ACS will complement NOMAD (a spectrometer suite for nadir and solar occultation observations) by extending the coverage at infrared wavelengths, and by taking images of the Sun to better analyze the solar occultation data. The PLX Retroreflectors used in the TIRVIM Interferometer offer properties, which enable it to survive launch conditions and to perform in harsh environments while maintaining exceptional stability and accuracy. Their function in the TIRVIM is to maintain optical alignment of the interferometer while they are translated to modulate the infrared radiation. PLX has designed and supplied optical devices and instruments to the Defense, Space and Commercial Industries around the world. For more technical information go to our Technical Publications page. PLX’s high accuracy Durable Ball Mounted Retroreflectors (DBMRs) offer increased durability and are designed to work in demanding environments. 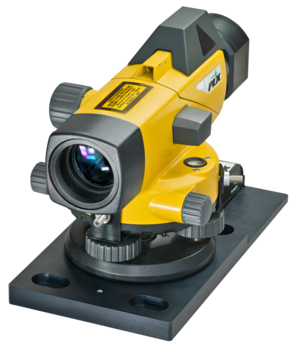 They are available in 1.5” diameter and two centering options (0.0001” and 0.0005”), and are guaranteed to be compatible with all manufacturers’ laser tracking systems. 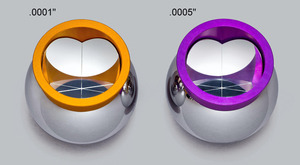 All PLX Ball Mounted Retroreflectors are equipped with our standard protected silver coating for the highest durability, reflectance, and distance. PLX’s new USHM’s robust mounting and mirror technology offer properties which enable them to perform exceptionally well in critical applications and harsh conditions. The improved USHM solidly connects the Retroreflector to the next assembly. It is vacuum compatible, thermally stable and tailored to applications such as military and aerospace where extreme shock and vibration are a concern. PLX was also awarded a contract by NASA for a 5-inch clear aperture, 18.5 inch offset LTHR™ as part of the ground support equipment for testing the ATLAS system before launch. 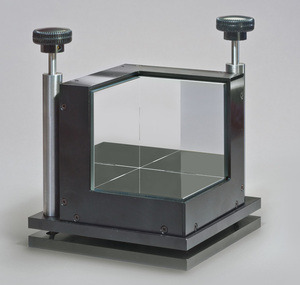 This LTHR™ provides a return beam from the laser to the receiving telescope to allow validation of the system. Additional recent satellite projects utilizing PLX Hollow Retroreflectors include the Meteor–M satellite and the Canadian Astro-H Metrology System, as well as units delivered to ABB Bomem for the ACE-FTS, the main instrument on SCISAT-1. This Canadian satellite was designed to make observations of the Earth’s atmosphere. Don't miss visiting our Poster Presentation at 4:30pm on Oct.14th at the SPIE OPTIFAB Show, learn more about our new All-In-One Electronic Autocollimator and Alignment Telescope solutions. Experience the latest advancement in Autocollimator technology, the ACT-­25 and ACT-­HR Autocollimator and Alignment Telescope instruments. See them at SPIE OPTIFAB, October 13-15th. These high-accuracy instruments are capable of resolution down to fractions of an arc second. Their primary application is to detect and measure small angular deviations. 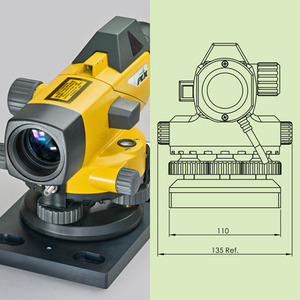 They feature an exceptional focusing range, a built-in laser for coarse alignment, a long-lasting LED light source, a full featured software suite and much more. See the new PLX High-Resolution Multifunctional Electronic Autocollimators at the SPIE OPTICS+PHOTONICS Show. PLX adds the new high-resolution ACT-HR High-Resolution Electronic Autocollimator to its recently introduced ACT-25 Multifunctional Electronic Autocollimator. See them both at the PLX OPTICS+PHOTONICS Show. The ACT-HR High-Resolution Electronic Autocollimator system has measurement capability down to 0.01 arc second or 0.05 μRad and a clear aperture of 62mm. The complete system includes a collimator unit with USB2.0 CCD camera. The ACT-25 is an all-in-one Electronic Autocollimator and Alignment Telescope designed with coordinated accessories that greatly increase functionality. Its telescope function allows for measuring lateral displacements as well as angular displacements in the autocollimator mode. Both units come with a full Software suite for recording and documenting measurements. PLX’s space heritage dates back to 1975 when the company provided hollow retroreflectors to the Apollo-Soyuz Russian-American space hookup program. The units were used in the docking procedure to align the two vehicles. Ever since, PLX has been developing new technologies for critical programs. The recent development of our Monolithic Optical Structure Technology (M.O.S.T.™) has led to further state-of-the-art capabilities for Aerospace, Military and Industrial applications. Introducing the new PLX ACT-25, All-in-One Electronic Autocollimator and Alignment Telescope. Used to detect and measure small angular deviations this robustly designed unit is practically ready to use right out of the box. It has a 0.1 arc-second resolution and an exceptional focusing range: from 30cm to infinity. The ACT-25 has a built-in laser for course alignment and a long lasting LED light source. Its full-featured software suite allows you to record and document your measurements. A unique feature of the ACT-25 is the ability to focus down to 30cm (12 inches) in the telescope mode. This capability allows the measurement of lateral displacements, as opposed to the autocollimator mode, which measures angular displacements. The new PLX Tool Cube is designed for setting up optical axes or intuitive alignment of equipment and instruments at right angles to each other or parallel to each other. - Typically used with two or more lasers or autocollimators to establish orthogonal axes. - Intuitive alignment of items at right angle or parallel to each other. - Less than 1 arc second deviation between any two of the three front surface mirrors. 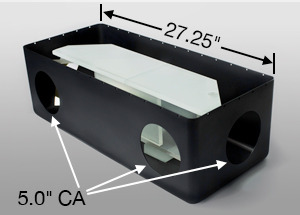 Read more about the PLX Tool Cube on our product page. Environmental Monitoring Program: New PLX retroreflectors withstand up to 800 degrees F.
PLX has manufactured stainless steel hollow retroreflectors, which can withstand temperatures up to 800 degrees F. These are mounted inside the stacks of coal power plants in programs designed to measure the content of emissions from the plant. Geophysics Interferometer: Long-baseline laser strainmeter system installed in 1 kM deep tunnel in Japan uses PLX 15” clear aperture Hollow Retroreflector. Astro-H is a space-based X-ray observatory scheduled to be launched in 2016. 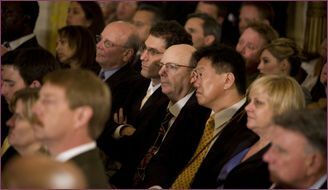 The mission is an international collaboration with participation from institutions in the US, Canada, Europe and Japan. Astro-H will have hard x-ray telescopes of 12 meters focal length. CAMS is the metrology system designed to measure the later (X/Y) and rotational (roll) displacement in the spacecraft’s optical bench relative to the instruments. 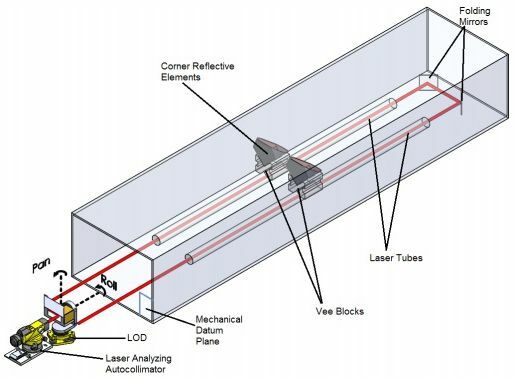 PLX manufactured two Invar-mounted hard mount retroreflectors of 1.94” clear aperture and 0.5-arc second accuracy for use on Astro-H. A laser is aimed at each of the units, which returns the beam parallel to itself with a known offset to a two-dimensional detector. Any shift of the units will be read as an offset on the detectors. ICESat-2 is NASA’s Ice, Cloud and Land Elevation Satellite scheduled for launch in 2017. The mission of the satellite is to deploy a spaceborne sensor to collect altimetry data of the Earth’s surface optimized to measure ice sheet elevation change and sea ice thickness, while generating an estimate of global vegetation biomass. PLX manufactured a vacuum-compatible Lateral Transfer Hollow Retroreflector with a 5” aperture, 18.5” separation and 1 arc second accuracy for the ICESat-2 program. It will be used for boresighting and performance testing of ATLAS. The Lockheed Martin Missiles and Fire Control Preferred Supplier Program, Perfect Performer Award is given for achieving 100 percent Quality and Delivery. The achievment recognizes PLX's obtaining and sustaining superior performance throughout the year. 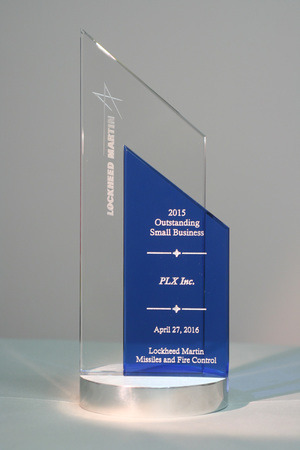 This is just one of many awards Lockheed Martin has bestowed on the company for outstanding achievement, PLX has been a valued supplier of Lockheed Martin for many years. Announcing the USHM from PLX. A new innovation in Hollow Retroreflector technology. 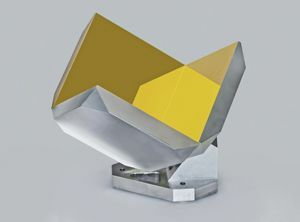 The Ultra Stable Hard-Mounted Hollow Retroreflector (USHM), is a self-compensating mirror that is totally insensitive to position and movement, extremely accurate and available in a variety of coatings and configurations. The USHM is well suited for critical military, aerospace, analytical and other OEM uses. It exhibits exceptional performance in interferometer applications where high stability is of utmost importance. Extremely stable and accurate, the USHM is available in a variety of coatings and custom configurations. Its unique hard mount solidly connects the Retroreflector to the next assembly. Because it is vacuum compatible and can be positioned about the permanently connected post in any orientation, it provides greater freedom for different mounting configurations. Potential variations include: smaller and larger apertures; special performance glass; modified mounts to meet your interface; super-critical accuracies; dielectric mirror coatings for high-powered lasers; and units able to withstand military and space environments. 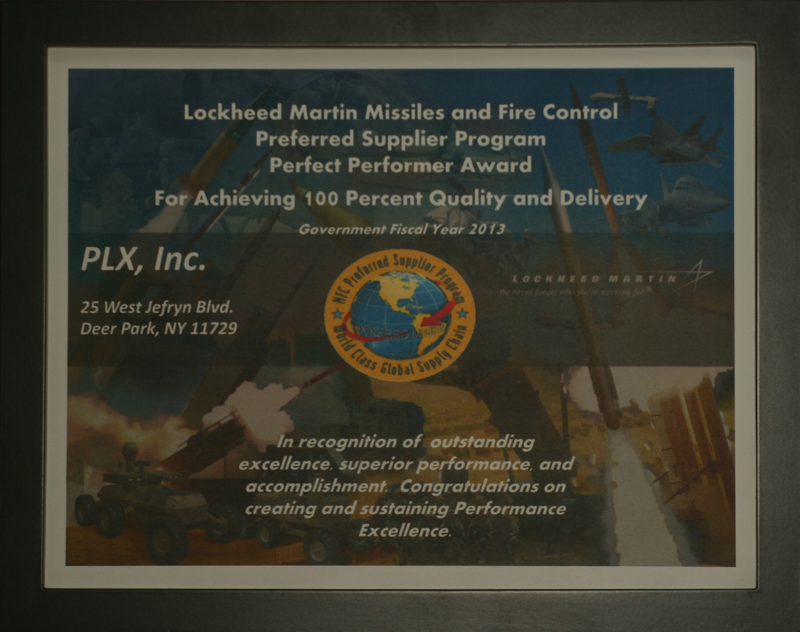 PLX has been named a “STAR SUPPLIER” by Lockheed Martin. This award signifies PLX’s ability to meet the high-quality standards and delivery requirements for the company. 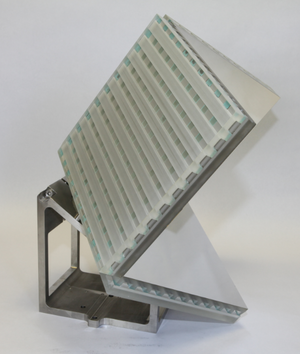 In 2001, PLX was asked by Lockheed Martin to develop a Modified Boresight Module (MBSM) for the Apache Arrowhead program, using a military version of the PLX Lateral-Transfer Hollow Retroreflector (LTHR™). The MBSM improved accuracy of the existing system from 30 arc minutes to 1 arc second. This was a particularly difficult task because of the state-of-the-art accuracy of this requirement and of the battlefield conditions under which the instrument must operate. Working closely with Lockheed Martin personnel, the MBSM was successfully designed and qualified. PLX continues to provide MBSMs for the Arrowhead program. 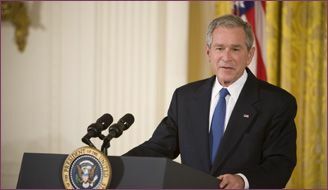 PLX has also received the U.S. Small Business Administration’s Subcontractor of the Year Award for 2008, Lockheed Martin’s Small Business of the Year Award for 2003, 2006 and 2007, The Lockheed Martin Eagle Award of Excellence for 2007 and the Northrop Grumman Corporation Bronze, Silver and Gold Supplier Quality Awards, among many other awards. M.O.S.T.™ achieves superb optical stability, unsurpassed shock and vibration resistance and sub-arc second accuracy between optical elements. PLX's propriotory technology makes it possible for them to integrate different glass types and exotic materials, such as KBr, ZnSe and CaFl2, into a M.O.S.T.TM assembly. 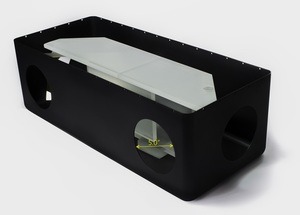 Developed by PLX, Monolithic Optical Structure Technology (M.O.S.T.™) is a unique optical innovation that combines all of the elements of a complex optical setup into a single monolithic unit. This technology represents a significant improvement over existing systems that utilize traditional mirror mounts. Traditional mechanical mounts are inherently unstable and require constant adjustment – a true disadvantage in critical applications requiring the permanent and stable fixed positioning of optical elements. 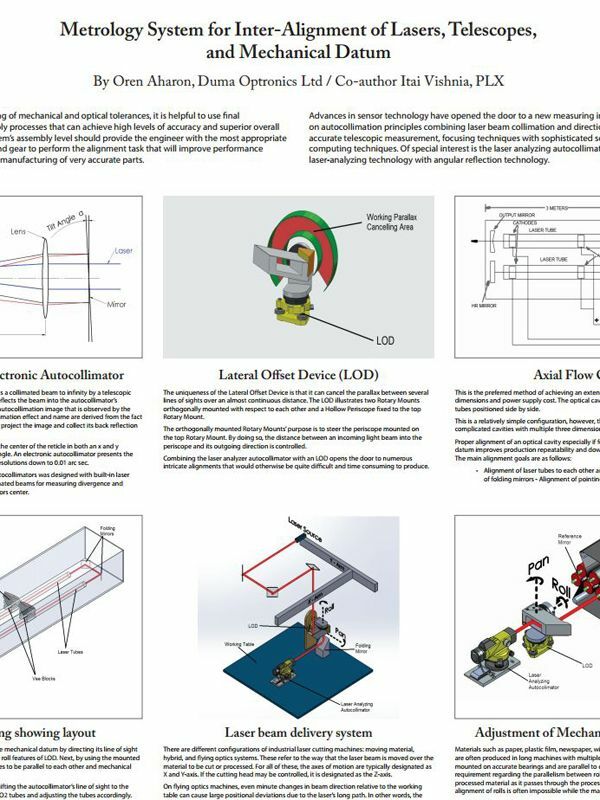 Optical engineers typically use M.O.S.T.™ monolithic assemblies in applications such as laser cavities, beam dividers, beam delivery systems, and boresighting. However, by using M.O.S.T.™ you can simplify and improve practically any lab setup you need to convert into an instrument. 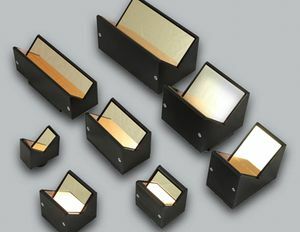 PLX's Hollow Retroreflectors are also available in diameters from 2mm to 6mm. 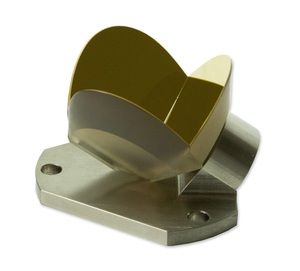 These Mini Hollow Retroreflectors are miniaturized devices that provide the same laser and interferometer quality wavefronts as our larger Hollow Retroreflectors (available in diameters up to 125mm). They can be coated with any of PLX's standard coatings, or with custom coatings. 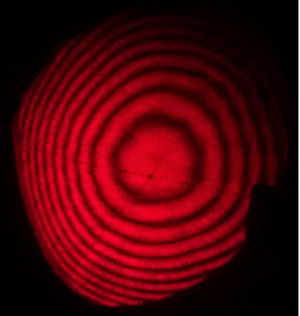 With an accuracy of better than 25 arcseconds maximum deviation and 0.2 waves wavefront deformation, they are ideal for numerous applications within high-precision optical, communications and laser systems. For more information on PLX optical technology, contact PLX today.